First College staff enjoying supporting Macmillan in the offices this week! 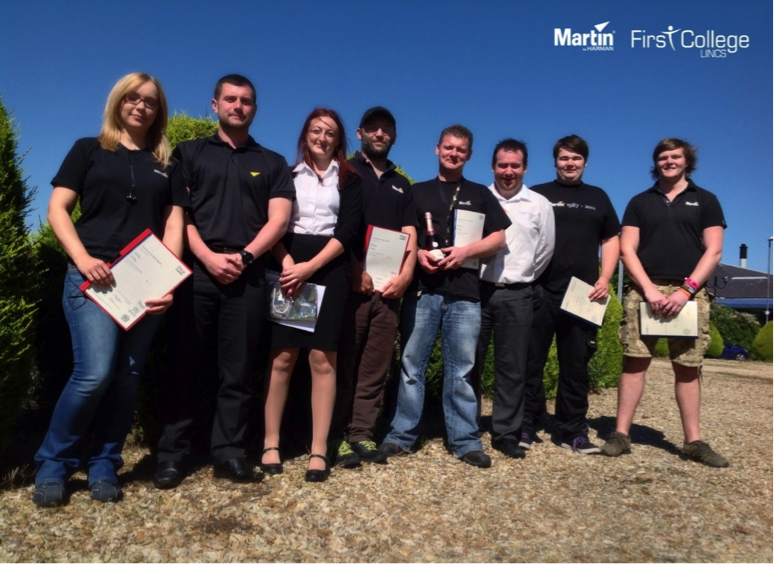 Level 1 Hospitality Learners support Macmillan Level 1 Hospitality Learners serve yumtastic cakes in support of Macmaillan in the First College offices this week! 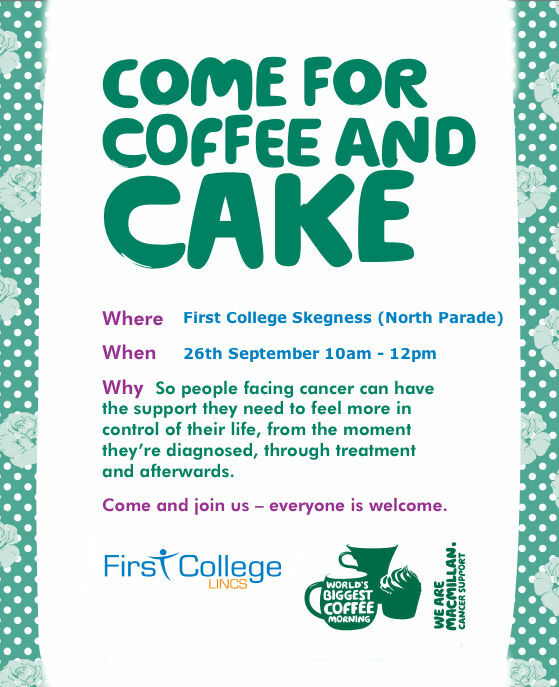 Come and support Macmillan with the First College Coffee Morning First College / Macmillan Coffee Morning on Friday 26th September 10am – 12pm at First College, North Parade, Skegness. 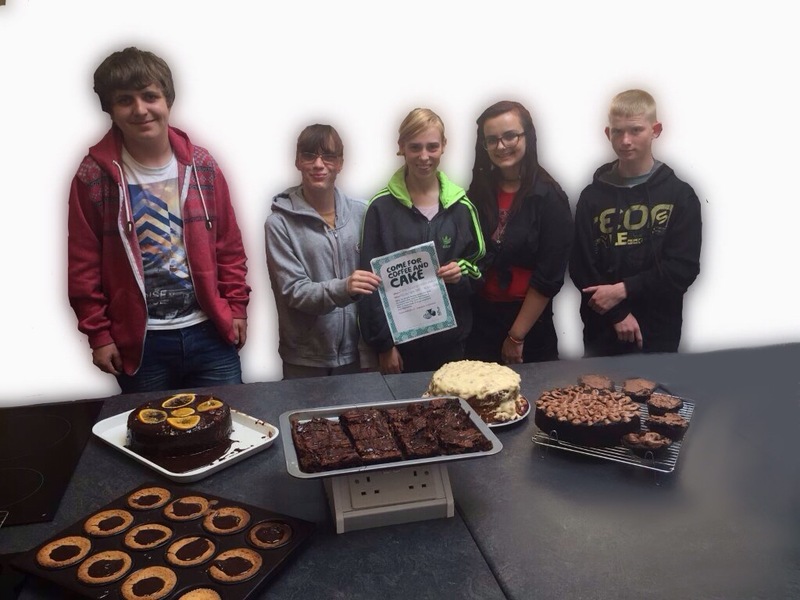 Cakes and Biscuits produced by our School Meals team and level 1& 2 Skegness Vocational College learners.